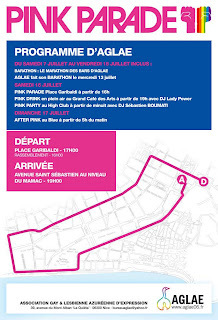 Here is what I like about the Pink Parade in Nice. It feels very of the moment, natural and growing. 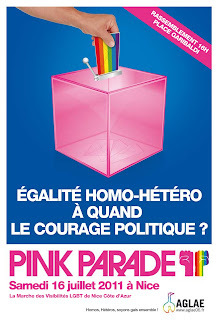 The difference I have found with the Pink Parade weekend in Nice compared to what I have experienced in North America is that it feels community minded once again, back to the roots. 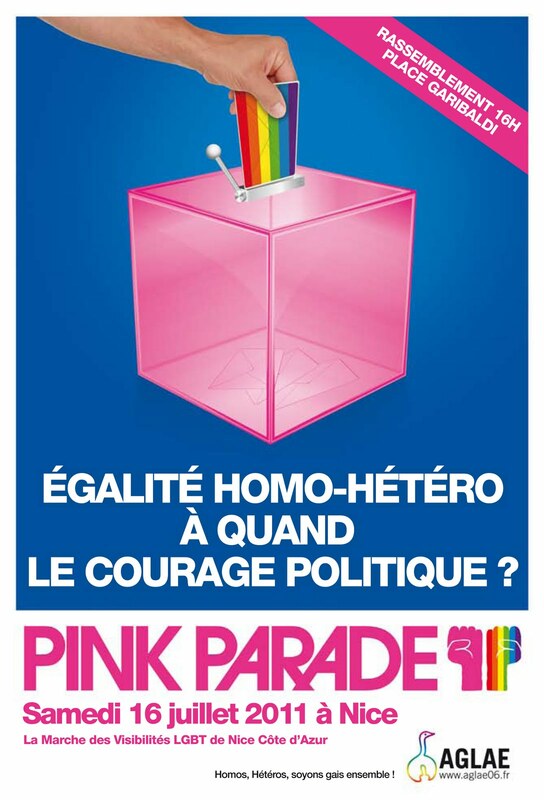 In France, many of the basic equality rights we might take for granted in North America (and we all still have a long way to go), they are still fighting for around the country. I also like the fact that it is not overly sponsored and full of promotions for whatever many circuit type parties might be happening that weekend. Overall, it doesn’t seem so money based. Of course the celebratory atmosphere is still there, and so are the hot party boys. You’ll notice right away the Pink Parade involves everyone, meaning everyone is encouraged to participate ahead, along and behind the floats, together as one. 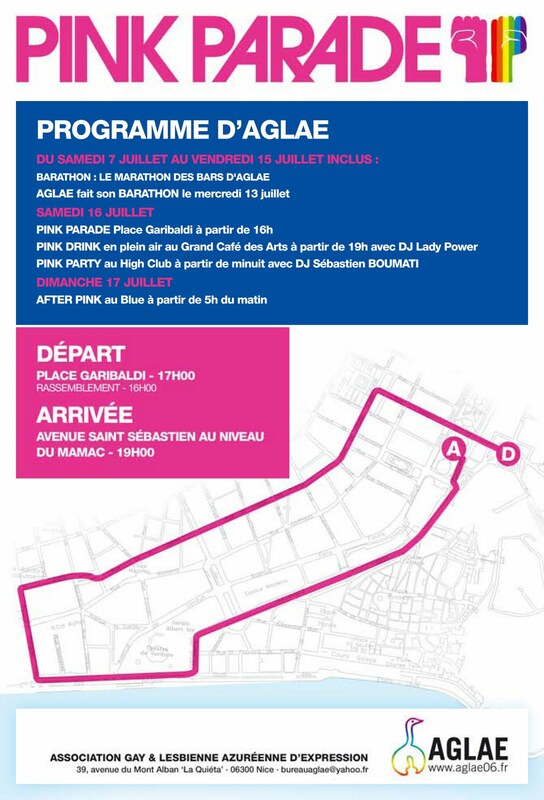 If you have missed this year’s Pink Parade, my suggestion would be to check out the AGLAE website, they are the ones who have helped put together Pink Parade in Nice since day one. 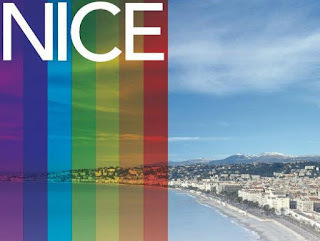 The next Pink Parade will be held in Nice on Saturday, June 16, 2012! 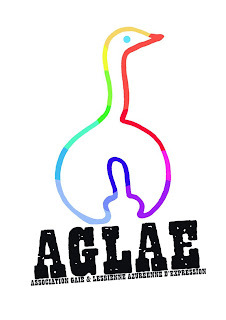 The AGLAE was created on July 14, 2003. • To present and defend the interests of its members. • To develop, for its members, any action to be taken into account the specific lifestyle of homosexuals. 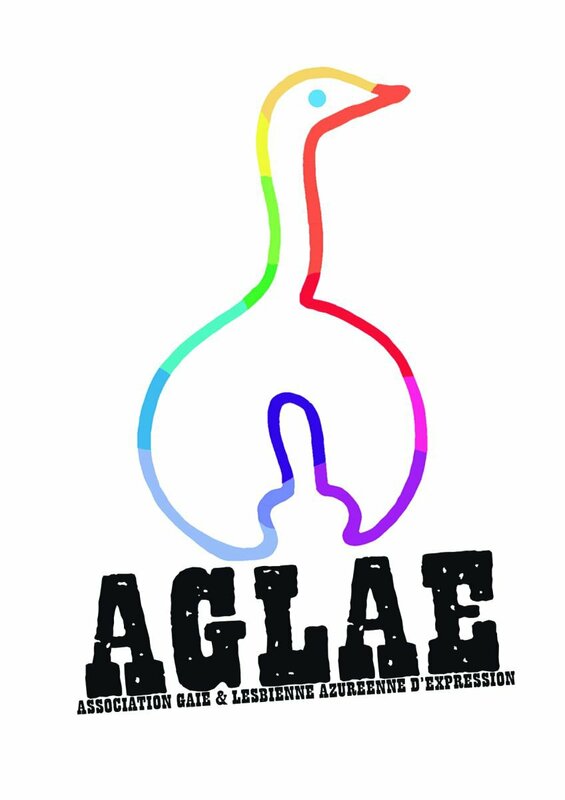 • To promote gay culture (arts, entertainment, nightlife, relationships with others). • Disseminate and inform its members in connection with the prevention of sexually transmitted infections. Here are some photos, information and video from this year’s Pink Parade! The Pink Parade and events really only got underway in 2004, and every year the LGBT community gets together and is stronger than ever bringing strength and spirit to all the events. Anyone is welcome to attend! See you there in 2012!!! Jameson: Let me know if you would like some restaurant feedback. I've been going to Nice regularly for quite some time. Headed there mid September, some great food/restaurants.